Intense shadow banking crackdown has reinvigorated on-balance-sheet activity. China’s banking system assets plunged from 16.5% in 2016 to 8.7% in 2017 to represent the first drop to single-digit growth in more than a decade, according to a report from Moody’s Investors Service, reflecting the ongoing transition of banks to on-balance-sheet activities like loans. Loan growth clocked in at a steady 12.1% which makes last year the first year since 2013 that loan growth has outpaced asset growth. The welcome development comes as China intensifies its shadow banking crackdown as regulators step up oversight and incorporating related rules in their Macro Prudential Assessment (MPA). "Furthermore, we expect these adjustments to continue in 2018, with a key driver being the tighter scrutiny of bank compliance with wholesale funding caps," said Ray Heung, a Moody's senior vice president. "And, loan growth will keep outpacing assets." Joint stock commercial banks reported the sharpest slowdown in asset growth, which reflected their large exposure to the clampdown on interbank business and continued reduction in the size of investment receivables. Asset growth across city commercial banks also slowed but remained in double-digits. Aggregate bad loan ratio also fell from 1.67% in 2016 to 1.53% as of end-2017 as stabilisation in the domestic economy is setting the stage for further asset-quality improvement. The 12 banks' aggregate capitalization improved slightly in 2017, driven by slower overall asset growth and the need to reabsorb off-balance-sheet assets. The latter was more prevalent among joint stock banks, explaining the large capitalization changes in some of these banks. The still strong growth of some city commercial banks also lowered capitalization. On aggregate, the 12 banks in our sample showed a five-basis-point improvement from 2016 to 2017. Bank capitalization in 2018 will be supported by continued modest asset growth and capital raising. The Bank of Nanjing and the Agricultural Bank of China have already announced plans of private placement of shares and are in the approval stage. 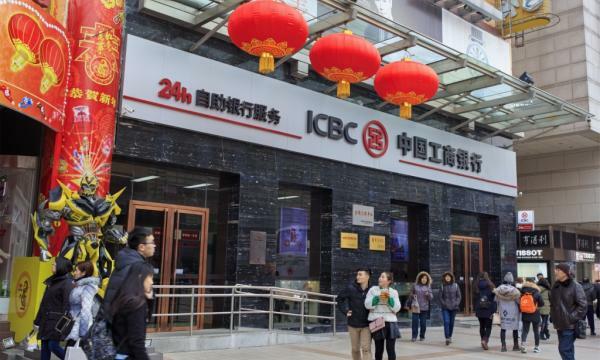 A number of banks, including the Bank of Ningbo and Ping An Bank, have also announced plans to augment capital positions using convertible bonds this year. Most banks reported improved net interest margins (NIM) in 2017, in line with a bottoming of market interest rates in late 2016. Overall liquidity tightened marginally to reflect banks' efforts to redirect their off-balance-sheet assets into loans. The 12 banks had an average aggregate loan/deposit ratio of 74.6% at the end of 2017, up from 71.9% a year ago. However, the banks' average adjusted loan/deposit ratio, which includes investments in loans and receivables in the numerator, rose only modesty to 81% from 80% in the same period. We expect a broader decline in wholesale funding in 2018 as banks curtailed their NCD issuance at the start of the year. A key driver of this is the regulator starting to require banks to comply with the rule that caps wholesale funding (including NCDs) at one third of total liabilities, as part of the banks' quarterly MPA assessment.